The field is modest by international standards. Noble estimates it could yield between 5 trillion and 8 trillion cubic feet of gas. For comparison, fields being developed off the Israeli coast have four times as much gas. Qatar, one of the world's largest gas holders, has nearly 900 trillion cubic feet. But for a country roughly as large as Connecticut, with about the same population as Manhattan, that's a lot of gas. "It was the third largest conventional discovery in 2011," said Michael Stoppard, chief strategist for global gas at the consultancy IHS. "It dwarfs local demand for the next 50 years." That means Cyprus, currently trying to secure a European bailout to cover huge budget deficits and bad bank holdings, could start exporting the gas to raise money. There's also the possibility that some energy companies might offer the country cash upfront in return for a share of the gas. So how much can Cyprus make off its gas? That's hard to say. Some of it would likely be used for local consumption. Cyprus currently gets most of its energy from burning oil -- an expensive proposition. The rest of the gas would probably be liquified, loaded onto to tankers, and sent to markets in Western Europe and Asia. That's all pretty pricey. Wells need to be drilled, and pipelines have to be built from the gas field itself -- some 100 miles offshore -- to the Cyprus mainland. A liquefaction plant costs billions to construct. Ultimately, it would probably take $10 billion in investment and seven or eight years to get the gas flowing, according to Laszlo Varro, the head of gas, coal and power at the International Energy Agency, a research organization funded by energy importing countries. 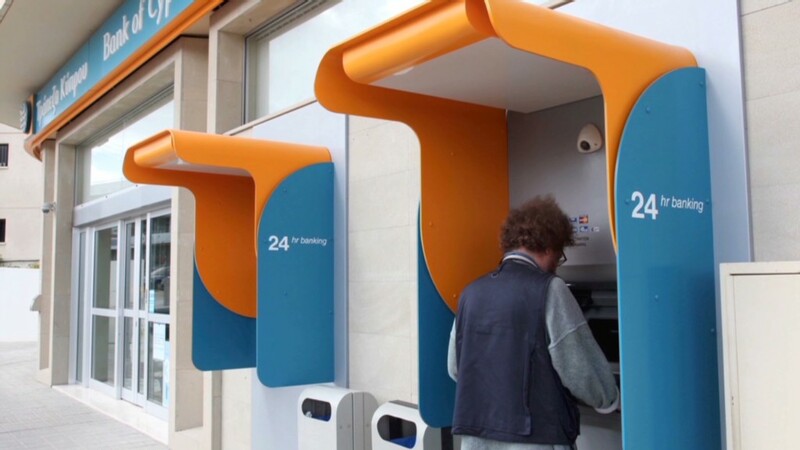 By 2020, under the most optimistic conditions, Varro said Cyprus' natural gas could be injecting $3 billion a year into the economy and generating perhaps $1 billion in tax revenue. The country's current economic output is around $24 billion a year, with $11 billion in government spending. "It will be a great help," said Varro. "But can Cyprus sit back and rely on this? No. This isn't Qatar." Varro stressed that those revenue projections are optimistic. 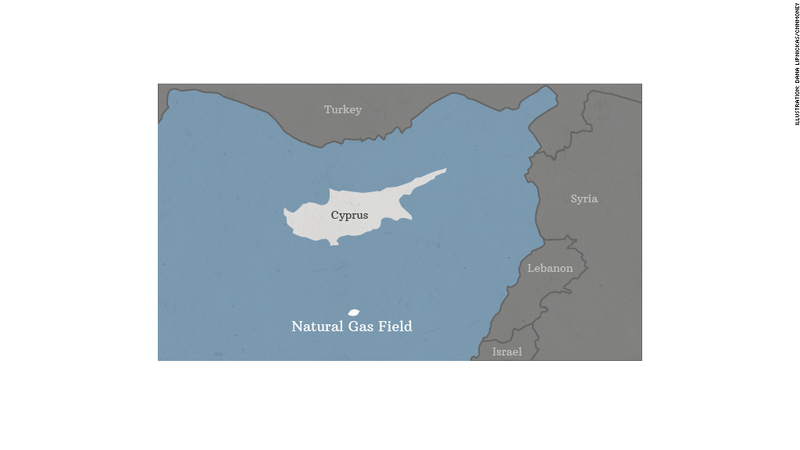 In addition to the financial hurdles to developing Cyprus' gas, there are political obstacles. Turkey, engaged in a decades-long territorial dispute with Cyprus, is loathe to see the fields developed as purely Cypriot property. It dispatched warships to monitor Cyprus' recent exploration attempts. Given its current financial woes, Cyprus may be tempted to cash in on the gas early. Russian energy giant Gazprom has offered the county assistance in exchange for some of the gas rights, according to the New York Times. That might make the Europeans nervous, given Russia's already large influence over Europe's gas market and its propensity to use energy for geopolitical leverage. Varro said there are probably plenty of other cash-flush organizations -- everything from oil companies to banks to pension funds -- that might offer a similar deal. But Cyprus should be cautious about auctioning off its future wealth. If structured properly, a cash-for-gas deal could be beneficial for the country, Varro said. But there are examples from recent history -- Venezuela and Mexico included -- where countries have mortgaged their energy wealth only to find themselves, years later, on the losing end of the deal.